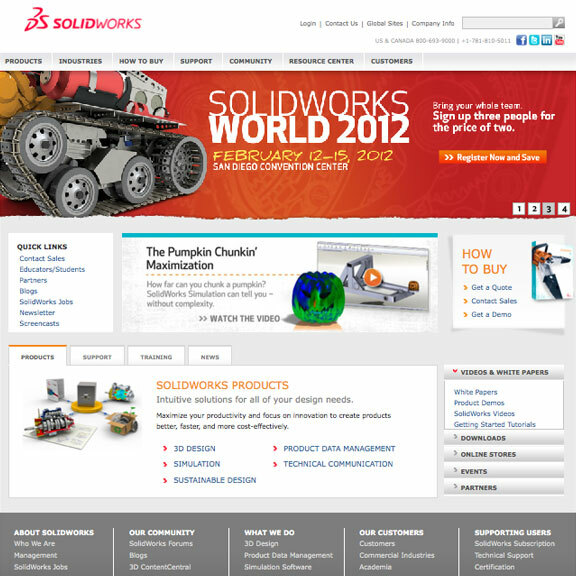 A division of Dassault Systémes, SolidWorks is a leading 3D software company which develops 3D CAD and design management products. 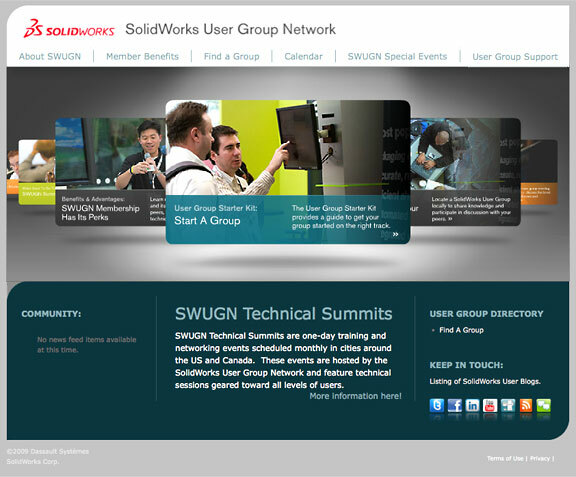 SolidWorks is a valued client for whom we've performed work for seven years on more numerous projects that we can possibly demonstrate. 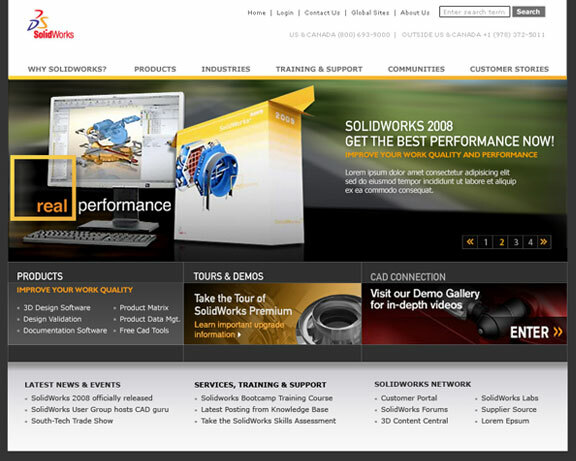 Flash. 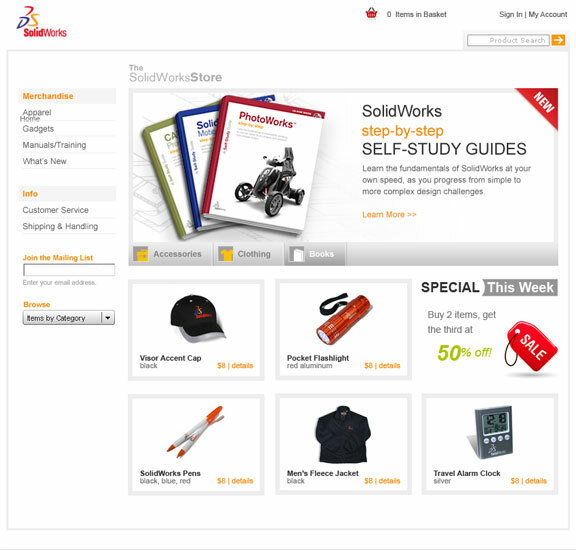 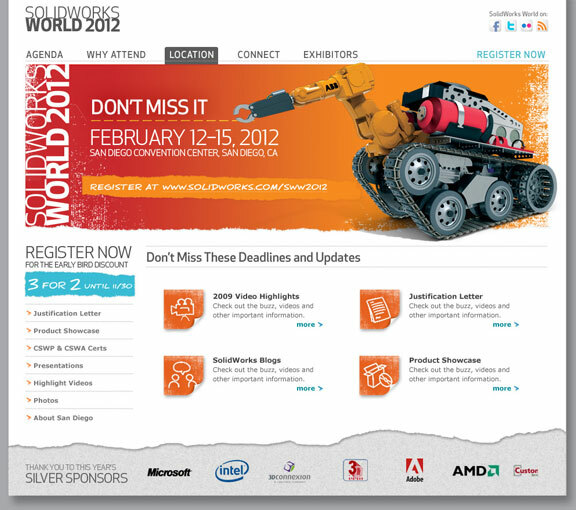 MediaVision has been responsible for the design and front-end development of all SolidWorks World web sites since 2006.